Holy Grail has announced another new string of live dates. 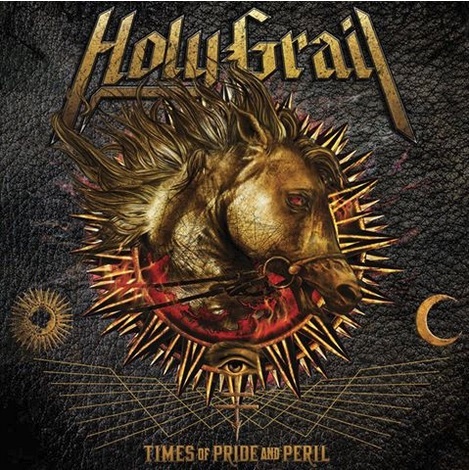 Holy Grail (James-Paul Luna, Eli Santana, Alex Lee, Tyler Meahl, and Blake Mount) has announced a new slate of live dates in support of its new album Times of Pride and Peril. The album comes out Friday, February 12th worldwide via Prosthetic Records. The band’s upcoming tour begins February 8th in Phoenix, Arizona and runs through April 2nd in Newport, Kentucky. The band will serve as supporting act to Black Tusk for the course of the forty-six-date schedule. Legendary guitarist Marty Friedman will also be on board for a handful of dates. The current schedule for the upcoming tour is noted below. Additional information on upcoming dates, ticketing, and event deals can be found online via Holy Grail’s official website at http://www.holygrailofficial.com. Holy Grail’s upcoming tour is a quick turnaround for the band as it just wrapped up a twelve-date tour alongside Night Demon. That tour included a performance at Death Angel’s second annual Christmas Show on December 16th. Flotsam and Jetsam, Mordred, and The Ghost Next Door were also on hand for that show. This entry was posted in Celebrities, Internet, Music and tagged Alex Lee, Blabbermouth, Blake Mount, celebrities, Death Angel, Eli Santana, entertainment, facebook, Filter, Holy Grail, internet, James Paul-Luna, JOhn Spiker, Marty Friedman, music, Night Demon, Phils Picks, Prosthetic Records, Tenacious D., Twitter, Tyler Meahl, Wordpress by philspicks. Bookmark the permalink.